DDLS Seed Testing and Certification is responsible for administering the industry seed potato production schemes in Western Australia. 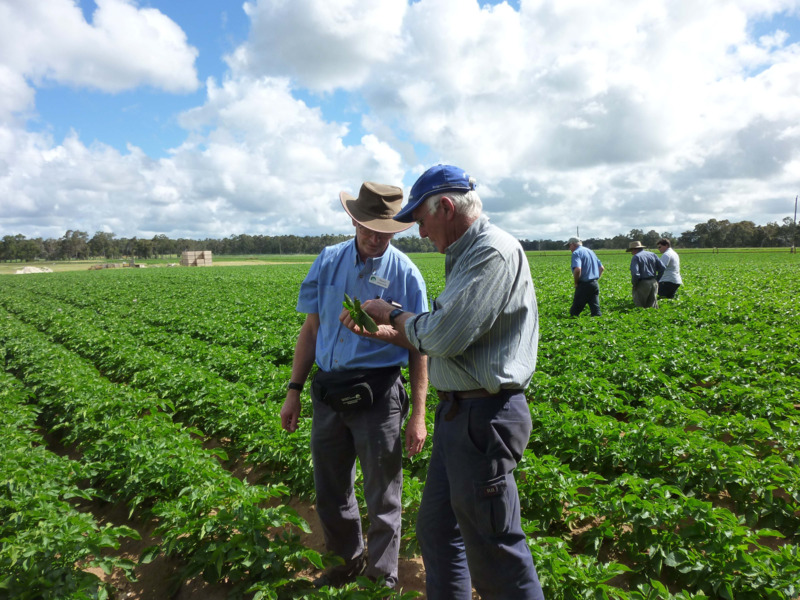 Being free from many of the world's most serious potato pests and diseases, Western Australian seed potatoes are recognised as superior in quality to those produced in many other seed schemes. Our experienced inspectors, virus testing capability and product traceability systems, ensure high quality seed for local, interstate and international markets. DDLS Seed Testing and Certification administers seed potato production schemes in WA and enforces agreed production and marketing guidelines. Our testing program has practically eliminated virus diseases within the industry and WA seed potatoes have the lowest virus levels in Australia. We provide a quality inspection service directly to growers. This includes a minimum of two visual crop inspections, inspection of tubers, disease testing, and labelling. DDLS Seed Testing and Certification provides training and advice to producers and seed works, and certifies product that meets quality standards outlined in relevant scheme rules. Potato seed scheme rules and forms can be downloaded from this page. If you require an accessible version of Form 402, please refer to the contact details below. The Western Australian Certified seed potato scheme is an industry cooperative scheme that incorporates the Australian National Certified Seed Potato (ANCSP) Standards as a minimum and produces premium seed potatoes that are considered superior to other international standards. The Western Australian Registered seed potato scheme is also an industry cooperative scheme that allows other seed growers, who are unable to meet some aspects of the ANCSP standards, opportunity to produce high quality seed potatoes also suitable for export and domestic markets. Both seed schemes source pathogen-free seed stocks that are produced and tested by accredited laboratories. Domestic and international buyers, and importing authorities, can be confident that seed potatoes from WA are free of exotic disease and pests. They are produced under strict standards and fully traceable to the point of origin through product labelling. All seed potatoes produced under Western Australian seed potato schemes must be accompanied by documentation defining the seed lot details including any disease and defects. The documentation also carries declarations by the producer and grader of the seed lot. This provides assurance to buyers that WA seed potatoes meet the relevant standards and satisfy their individual quality needs.